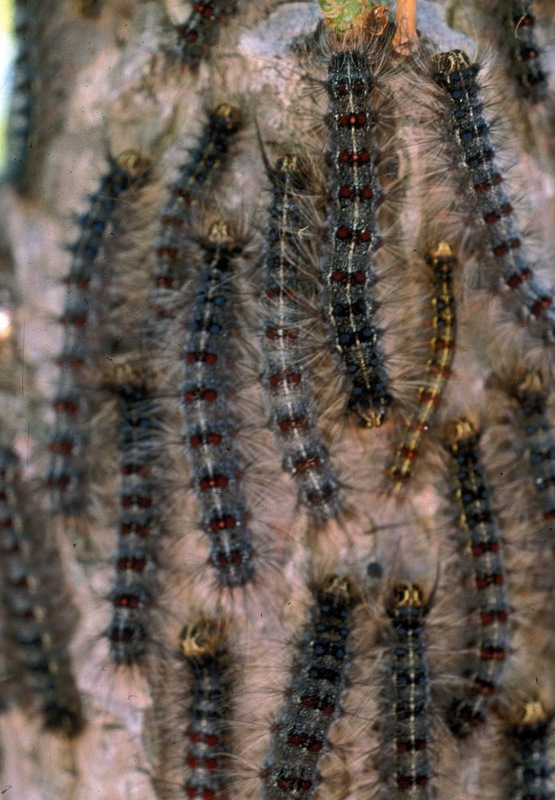 June is a critical moment during the year for Gypsy Moth control. 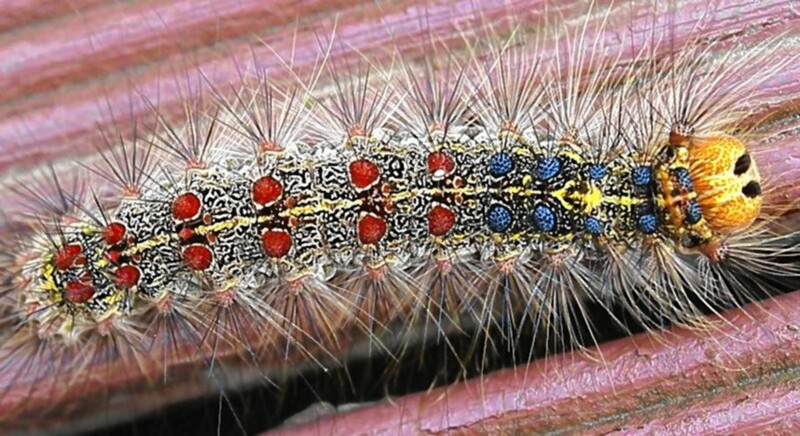 In June, gypsy moth caterpillars can be seen on tree trunks, sides of buildings, benches, playground equipment, or any outdoor furniture. 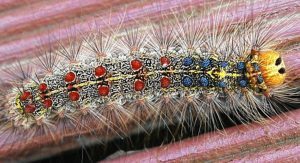 The UW-Extension office has already received multiple samples of gypsy moth caterpillars from citizens that are unaware of the problem that they now have to face on their properties. Everyone can contribute to the control of this pest. You can become a super-predator in the fight against these caterpillars by putting up burlap collection bands around your trees. Once captured, the caterpillars can be simply scraped off and placed in soapy water, which will kill them, or you can simply cut them in half. 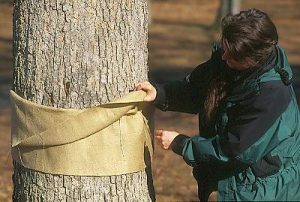 Some pesticides can also be used. Visit our dedicated UW-Extension Gypsy Moth page for detailed information of gypsy moth control month-to-month.